Your 5 minute crash course. 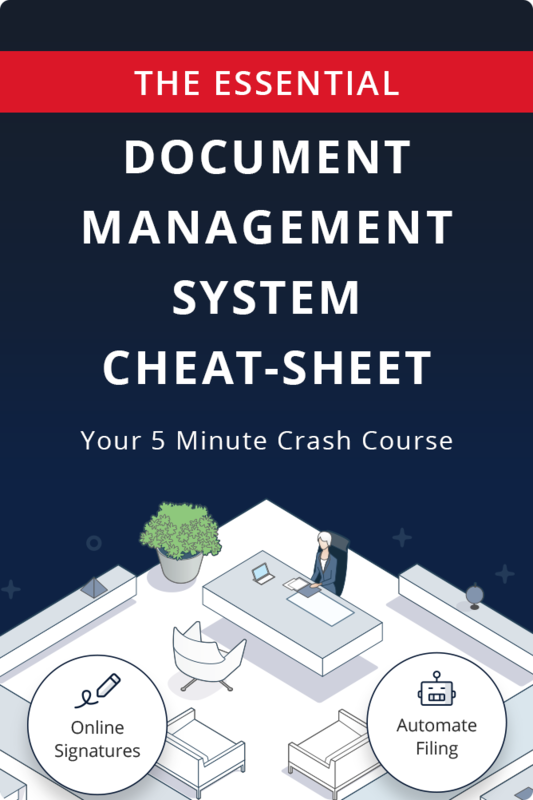 Find out why Document Management Systems are essential to organising your office, communicating with your customers, and getting more from your team! YES! I'd like to get more info! Only occasionally please. What are the main problems Document Management Systems solve? The key facts and statistics around adoption. Make sure you choose a Document Management System with all the features and benefits you'll need. Checklists to help you overcome common problems and pitfalls when choosing a provider or migrating to a new a system.